Natsu e no Tobira Never end ver. (夏への扉 Never end ver. lit The Door Towards Summer Never end ver.) 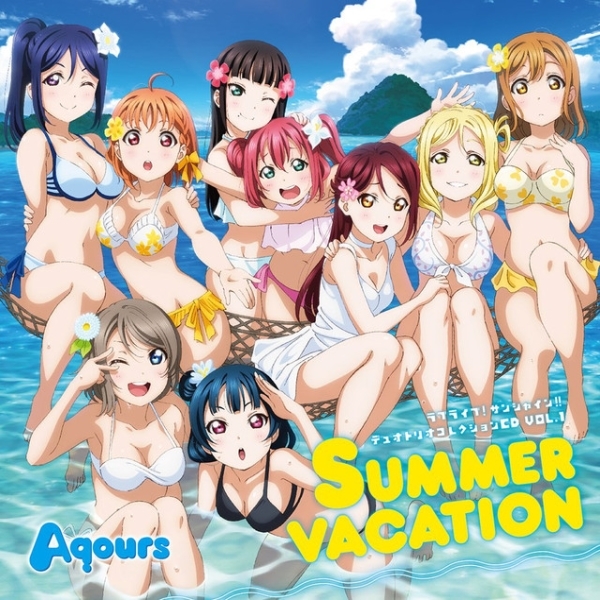 is a song included in Love Live!! Sunshine!! Duo & Trio Collection CD Vol. 1 Summer Vacation. It was sung by Sakurauchi Riko, Kunikida Hanamaru, and Ohara Mari. The song is written by Hata Aki, composed and arranged by Kanasaki Masashi.